PESHAWAR : 6th Dec. 2010 : Around 40 tribal elders, security personnel and journalists were killed on Monday in twin suicide bombings on a jirga being held outside the office of the assistant political agent of Ghalanai, the agency headquarters of Mohmand, to devise a strategy against terrorism in the tribal region, officials and local journalists said. According to Mohmand Political Tehsildar Shamsul Islam, a jirga of a peace committee of Alizai and Safi tribes was in progress at the office of Roshan Khan Mehsud when two suicide bombers tried to enter into the premises, but blew themselves up when stopped by security personnel. 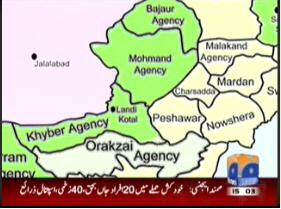 The attack on Khoizai tribe jirga in Ghalanai is one of the worst attacks on a jirga in the Tribal Areas since terrorism engulfed the long belt along the border with Afghanistan. 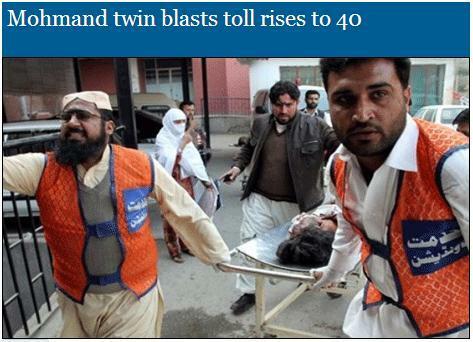 The injured had been rushed to Peshawar’s Lady Reading Hospital where emergency had been declared. The reason for such a massive impact was that the terrorists had used live bullets in the explosives instead of ball bearing. “These bullets killed everyone who was hit,” Khan added. He confirmed that the dead included two journalists from two private TV channels – Abdul Wahab and Pervez Khan and two tribal elders, while the assistant political agent had been injured. One of the wounded in the attack was 45-year-old Qalandar Khan, who came to the compound to visit an imprisoned cousin and was hit by the second explosion. But Shamsul Islam dismissed suggestions that security had been too lax to stop the suicide bombers, who travelled by motorbike. “Routine security arrangements were in place. 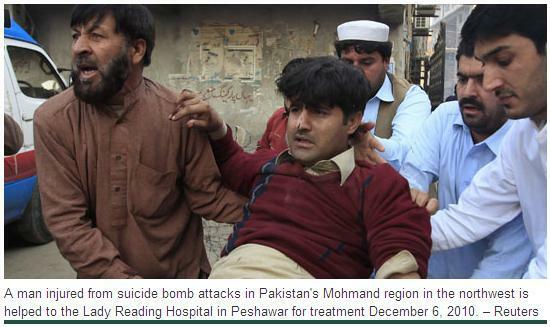 It is difficult to stop suicide bombers, they can go anywhere,” he told a private TV channel. “There was a meeting underway between the local administration chief and tribal elders, members of the peace committee when the blast took place,” local official Maqsood Amin said. 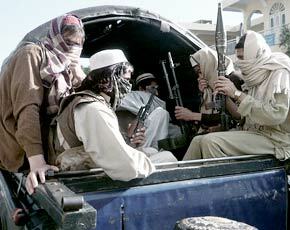 The purported chief of the Tehreek-e-Taliban Pakistan (TTP) in Mohmand claimed responsibility for the attack. “Our two suicide bombers targeted people who were working against the Taliban,” Umer Khalid told AFP by telephone from an unknown location. “Those who will work against us and make lashkars (tribal army) or peace committees will be targeted. Our war is to enforce Sharia and anyone who hinders our way or sides with America will meet the same fate,” Khalid said. Khyber Pakhtunkhwa Information Minister Mian Iftikhar Hussain visited the Lady Reading Hospital to inquire after the injured people. Talking to reporters there, he said that his government would continue the fight against terrorism. Courtesy : Daily Times | Dawn News |Reuters.